The 1st comprehensive leadership studies program in the Midwest. A Majority of this work is from the Design Development Phase of this project with the exception of the first image and the marketing video. Good communication with our office in Kansas City was imperative. 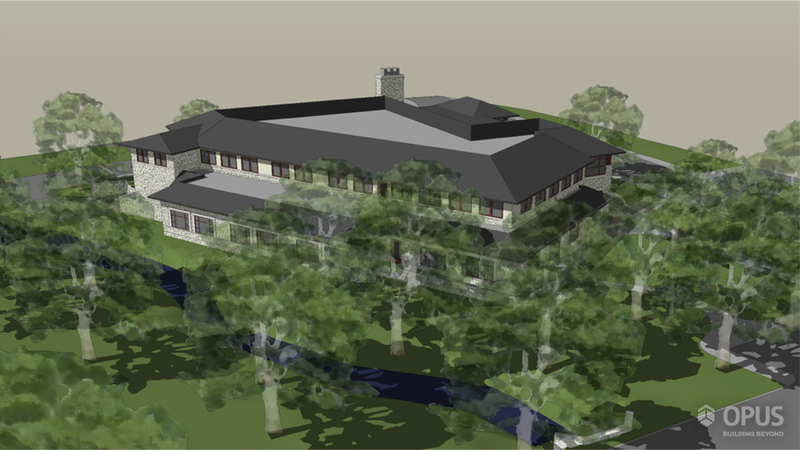 We actually developed approximately 90% of the SketchUp model via web conferencing and discussion. This was something we pioneered inside Opus and the results paid off dramatically. 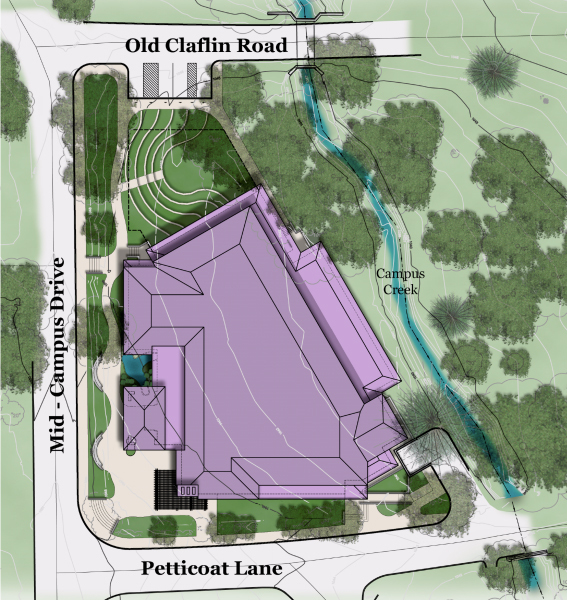 I was involved until the project was brought fully into Revit and continued to develop the amphitheater to the north of the site in SketchUp for use with the Animation. One of the last roles I served at Opus, in addition to my other responsibilities, was as a design liaison with the heads of design at Opus other offices in Denver, Kansas City, and Seattle. This position was the primary point of contact for any design/support services that was needed. 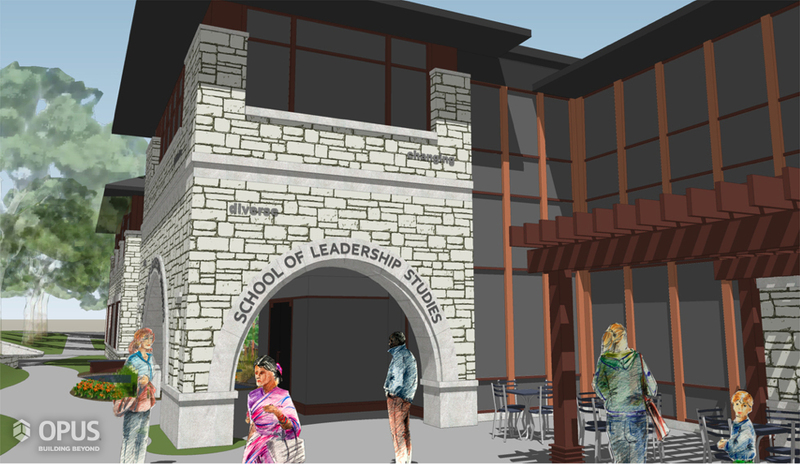 KSU’s School of Leadership Studies is a prime example of how this role paid off for Opus A&E. The Kansas City office had been working with a local architect tied to the project, when it became clear that the other office wasn’t a good fit. Do to budgetary constraints, they needed to provide a design alternative in a very short timeline. We had been experimenting in the office with a shared computer interface over the internet. While intended originally for in-house powerpoint presentations, we discovered it’s capacity to share the same screen while directly working together. This new “meeting place” paid off because it allowed a designer in Kansas City to coordinate the design with me while I modeled live on his screen. It also was a training tool for showing new methods and tools within the modeling program. In the end we proved our worth. The client recognized the level of quality and service they could expect from us and Opus A&E inherited the role as architect on the project. 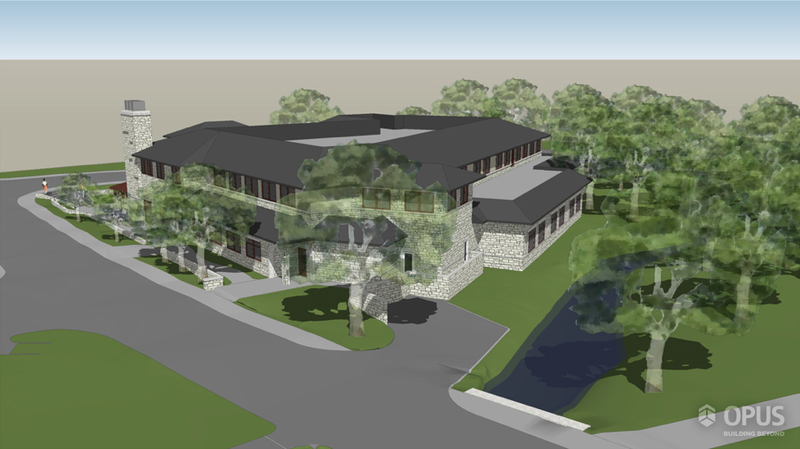 I continued to develop the design with the Kansas City Office through the time of construction documents. From there I provided support services (CAD and 3D materials) for the rest of the team who produced the marketing renderings. KSU School of Leadership Studies (Pt. 2 - Marketing) from Ryan Siemers on Vimeo.